Experimental literature indicates that people can discriminate lies from truths with above-chance levels of accuracy (Zuckerman, DePaulo, & Rosenthal, 1982), but that people are better at lying than detecting lies. In experimental studies, the typical lie detector averages some 57% correct deception judgments (Kraut, 1980), where 50% would be expected by chance. In contrast, when humans are asked to spot a lie, there is only a 14% chance that they will answer correctly (Bond, Kahler, & Paolicelli, 1985). This would then correlate with Levine et al. (1999) whom, across three separate studies, found that truths are most often correctly identified as honest, but errors predominate when lies are judged. Truth accuracy is substantially greater than chance, but the detection of lies was often significantly below chance. Levine’s argument was that this was due to the veracity effect - people are more willing to believe something to be true than something to be a lie. Other studies have shown that policemen and students believe they are very aware of the signs of deception and lying so would argue that have higher levels of deception detection than the ordinary public. However, Bogaard and Meijer (2017) found that undergraduates and police officers still hold wrongful beliefs about nonverbal cues. What are the key signs of deception? There is a lot of research on the first three, but not the last signifier. Vocal expressions of deception were rated as less honest, less assertive, and less dominant than standard speech (Zuckerman et al. 1979). Indeed the study further found that the sender's abilities to convey honesty/deception via facial and vocal cues were positively and significantly correlated, whereas in the spontaneous condition they were not (Zuckerman et al. 1979). In simpler terms, when participants are told to lie on a topic they can be positively recognised, whereas, when the information they provide is spontaneous (in the moment), they could not be detected. I would argue this is because they are more relaxed and prepared to tell the lie. In contrast, other studies have shown that the tone of a person’s voice leaks information that is not revealed by the verbal content (DePaulo & R Rosenthal 1979) or facial expressions (Bugental et al., 1976, Zukerman et al. 1982). This is because speech errors are hard to control and are prone to be influenced by the situation (De Waele and Claeys, 2017). However, other studies have shown that certain individuals tend to appear and sound consistently honest (or dishonest) regardless of whether they deliver an honest or a deceptive message (Zuckerman et al. 1979) – i.e. some people can be convincing liars and truth tellers. 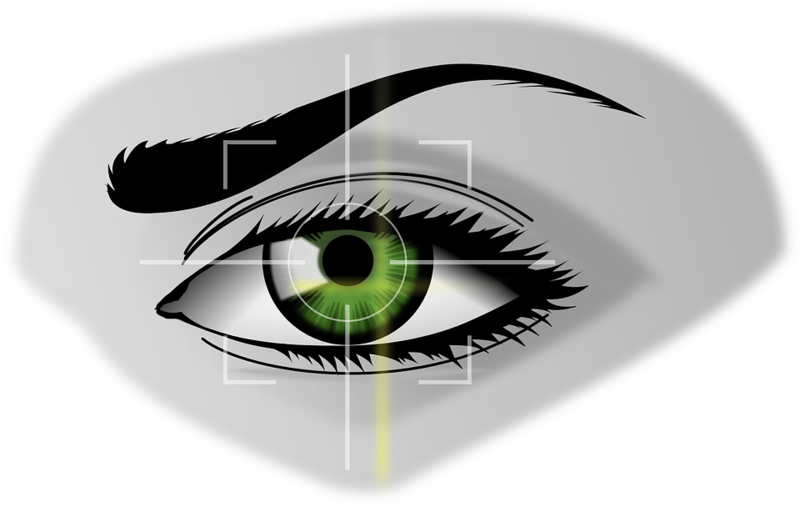 Eye Tracking falls into pupil dilation and eye movement. Berrein and Huntington first noted pupillary response in 1943. Attempts to use pupillary response as a lie-detecting device include Heilveil (1976), Janisse (1973, 1977), Bradley and Janisse (1979, 1981), Lubow and Fein (1996). These studies found a positive correlation between increased pupil dilation when subjects gave deceptive answers to demographic questions, responded to questioning of ‘guilty information’, or viewed photos that contain items present at the crime scene. Dionisio et al. (2001) explained that this occurred because an increased cognitive load to ‘try and make their lies as believable as possible’, resulting in increased pupil dilation. This is because deception is a more cognitively demanding task than truth telling. Eye movement is a more contentious issue. No study in favour of eye movement as a sign of deception has been recreated in the same environment, suggesting that the environment is too difficult to replicate due to different participants being involved. Thus, suggestions of deception by creating a sensory feeling or sensory memory by looking down to their right are doubtful. However, according to Vanessa Van Edwards, shielding eyes is a response to threatening imagery or behaviour – suggesting they are uncertain of a particular situation. She continues to say this is an innate behaviour – children who are born blind actually cover their eyes when they are victim to negative stimuli. These have been less noted on a scientific level due to the lack of technology available to accurately track changes until recently. Recent studies by The Deception Analysis and Reasoning Engine (DARE) designed by researchers at the University of Maryland and Dartmouth College found that facial expressions gave an increased reliability in recognising deception compared with that of a human (AUC of 0.6511 compared to 0.58). Whilst this is not a significant improvement on the overall human score, the researches admitted the deep learning system is still very immature and would require more training data for it to be an efficient system. It should however be noted that DARE’s system when combining all the features (oculesic behaviour, voice tone and micro expressions), combined with transcript analysis by humans made the system have an accuracy of 0.92. Traditional means of tracking deception – using the polygraph – have focused on heart rate, skin conductivity and pitch to recognise deception. The logic behind these methods is, as described earlier, that it requires conscious brain processing power to tell a lie. Combined with the stress created as a result of a fight or flight homeostatic response, it results in an elevated heart rate and increased sweat production. Heart rate is measured using the cardio-sphygmograph component of the polygraph attached to the subject. Skin conductivity is measured on the amount of perspiration produced using electrical sensors. As sweat production increases from a response, resistance of the electrical current decreases and changes are recorded. With technological advancements, these measurements can now be taken non-invasively. Obeid et al. (2012) found that using lower-power electromagnetic pulses reflected off a subject could track heart & lung movement as a result of the Doppler effect. Alternatively, thermal imaging is also used achieve the same result (Yang et al. 2008) by detecting changes in skin temperature due to heart rate. So in a face-to-face environment these are perfectly feasible, assuming the user does not have financial and physical constraints. More recently, evidence shows that consumer grade cameras can now track their own and others heart rates (Ruben, 2015), using reflectance-mode photoplethysmography. In simpler terms, this is a measurement of the light reflected from the skin created by blood volume changes in the microvascular bed of tissue. The difference in light reflected between surges in blood flow can then be tracked and re-coded to form a heartbeat. With the correct model, heart rate - a traditionally key factor in deception - can be recognized by anyone, simply through the use of one’s phone and for any personal function, be it analyzing deception of high-profile individuals, or personal interactions. It is then a case of validating the other key emotional responses that highlight deceptive behaviour. To further this research, I will be doing a experimental analysis of indicators of deception, using a well-known reality television programme: The Jeremy Kyle show. My aim for this analysis is to provide an evidence based scenario to help you recognise how emotion analysis can be used in the day to day environment. Bond, C., Kahler, K. and Paolicelli, L. (1985). The miscommunication of deception: An adaptive perspective. Journal of Experimental Social Psychology, 21(4), pp.331-345. Bogaard, G. and Meijer, E. (2017). Self-Reported Beliefs About Verbal Cues Correlate with Deception-Detection Performance. Applied Cognitive Psychology, 32(1), pp.129-137. Bugental, D., Henker, B. and Whalen, C. (1976). Attributional antecedents of verbal and vocal assertiveness. Journal of Personality and Social Psychology, 34(3), pp.405-411. De Waele, A. and Claeys, A. (2017). Nonverbal cues of deception in audio-visual crisis communication. Public Relations Review, 43(4), pp.680-689. Hample, D. (1980). Purposes and effects of lying. Southern Speech Communication Journal, 46(1), pp.33-47. Kraut, R. (1980). Humans as Lie Detectors. Journal of Communication, 30(4), pp.209-218. Levine, T., Park, H. and McCornack, S. (1999). Accuracy in detecting truths and lies: Documenting the “veracity effect”. Communication Monographs, 66(2), pp.125-144. DePaulo, B. and Rosenthal, R. (1979). Telling lies. Journal of Personality and Social Psychology, 37(10), pp.1713-1722. Walker, R. and Jussim, L. (2002) Do people lie to appear unprejudiced? The Rutgers Scholar. Volume 4. New Jersey. Zuckerman, M., DeFrank, R., Hall, J., Larrance, D. and Rosenthal, R. (1979). Facial and vocal cues of deception and honesty. Journal of Experimental Social Psychology, 15(4), pp.378-396. Zuckerman, M., Spiegel, N., DePaulo, B. and Rosenthal, R. (1982). Nonverbal strategies for decoding deception. Journal of Nonverbal Behavior, 6(3), pp.171-187. This sequel to this post, our Jeremy Kyle Deception Experiment, can be found here - give it a read to find out how to detect a lie. Interested in more of our research?